My yoga practice is a bit unorthodox. And because of that my mats take a beating. From puppy paws to Red Rocks’ dirt to mountain snow, they have to bear a little bit of everything. 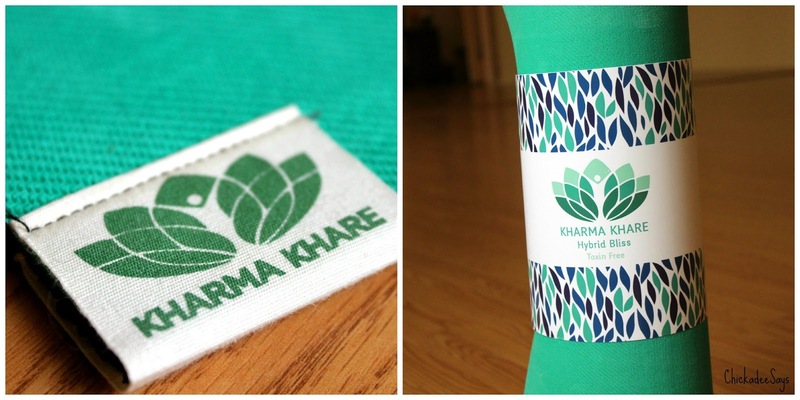 So when Kharma Khare reached out to see if I might want to take their Hybrid Bliss Non Slip Eco-Friendly Yoga Mat for a test drive I knew I had to put it through the ringer before sharing it with you lovelies. And, boy, did it pass with flying colors! I am so grateful to live to in Denver, where the sun shines in the winter almost daily, because I have self-diagnosed myself with SAD (Seasonal Affective Disorder) a mood disorder that stems from the season change and winter’s lack of light. Moving to Denver has resolved my minor affliction, but I have many close friends and family who still are affected by the mood swings, depression, and fatigue that SAD brings when the days grow short. 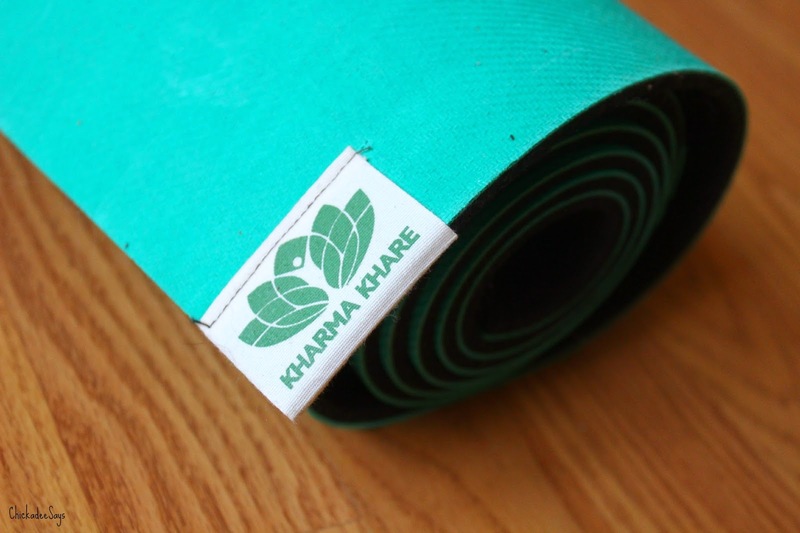 So, I have decided to beat up my Kharma Khare yoga mat and hopefully provide a little SAD yoga therapy as well! 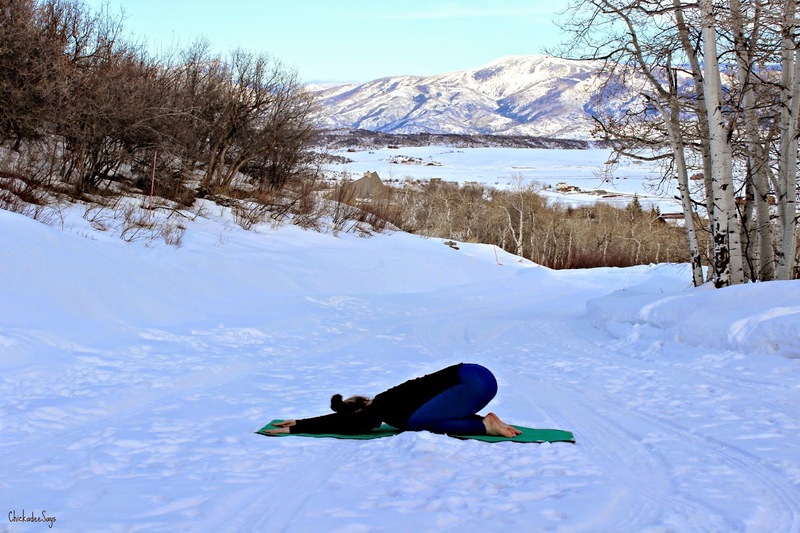 I teach from the Five Foundational Yoga Poses so if you need a refresher, pop over here! 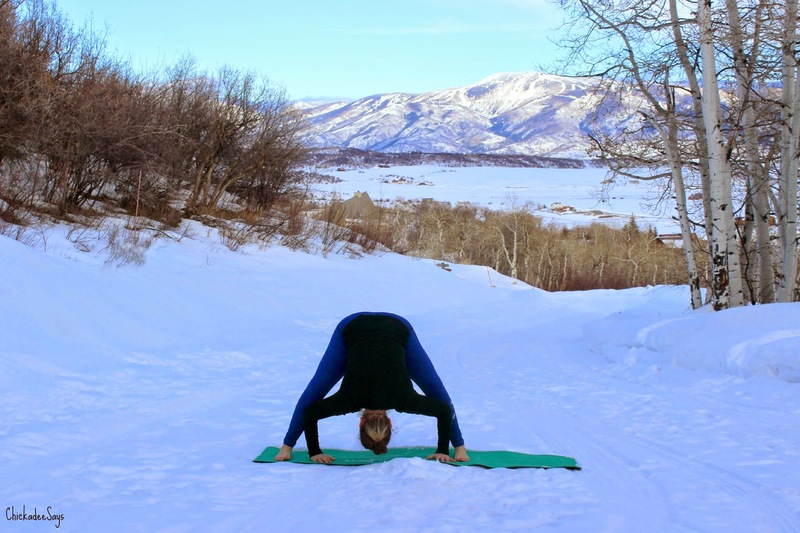 Downward Dog is a great, gentle inversion to flip your perspective upside down and get your blood flowing, livening up your breath and giving you a boost of energy. Position yourself on your mat on your hands and knees. Your elbows and wrists should be in line directly under your shoulders. Line the creases of your wrists so that they are parallel with the front edge of your mat. Focus on your hands. Making sure that they are firmly planted and not ‘tented.’ Walk your knees back so that they are slightly behind your hips, then turn your feet under so they are planted on the floor. Your heels may or may not touch, but either way, focus on grounding them towards the earth. Start lifting your knees off the floor, keeping them slightly bent. Straighten your arms, pulling your shoulder blades together on the center of your back, opening your chest. Lengthen your tailbone towards the ceiling, and press your thighs back, straightening your legs. Wide Legged Forward Fold is another gentle inversion that allows you to start to open up a few stress centers in the body and allow them to fade into relaxation. 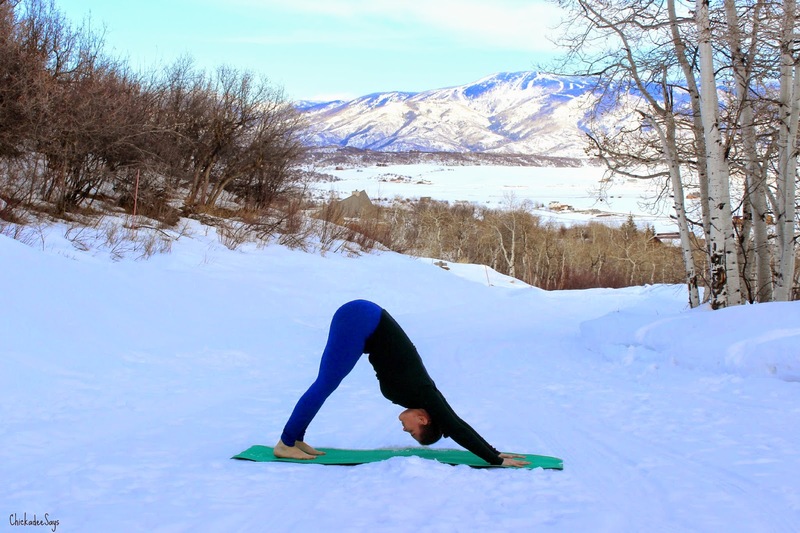 Start in Mountain pose, step your feet out just wider than hips width, then depending on how comfortable you feel you can walk your feet out wider (the longer your legs the wider they should be!). Inhale and let your body grow long, giving yourself space to breathe, and exhale hinge at the hips. Keep your torso long as you let your hands drift towards the floor or towards your ankles or a block. Instead of bending your back aim to keep it long, moving from your hips instead of your waist, creating length and helping to deeply stretch the backs of your legs. 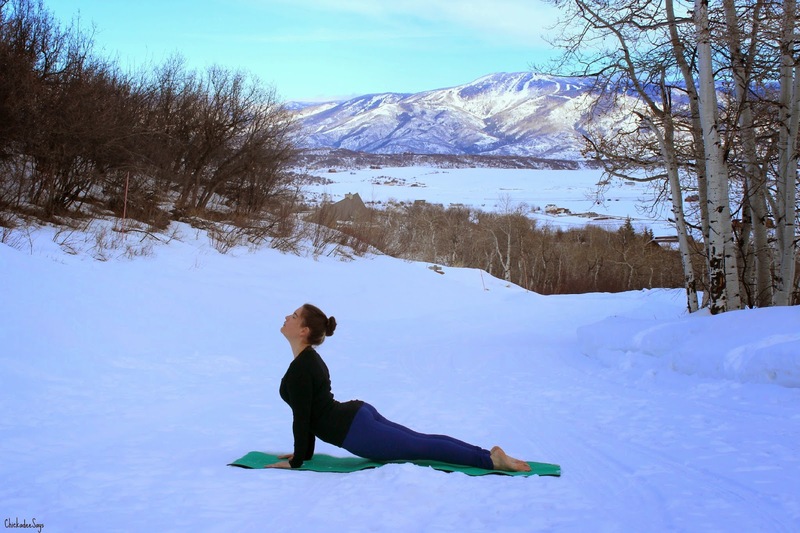 Upward facing dog, much like cobra, is a back extension, however up dog is a whole body pose that will infuse energy as you open your heart to receive love. Start lying belly-down on your mat with the tops of your feet pressing into the earth. Place your hands, palms down, on either side of your waist so that your elbows are bent. Inhale and press your hands into your mat as you straighten your arms. Your torso and legs will lift off the mat, keep your core engaged and legs strong, so that you don’t dip into your lower back. Energetically draw your shoulder blades onto your back, breathe deeply opening your chest, and slightly press your hands backwards, as if you were pulling yourself forward to open the chest. Breathe here, then lower as you came up. Camel pose is quite advanced, so make sure that you are fully warmed up (especially your back, groin, and shoulders) before attempting this back extension! 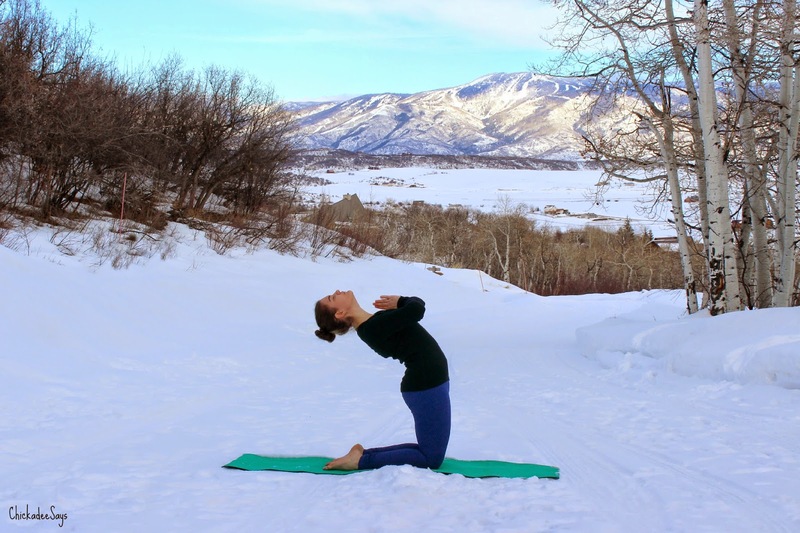 This pose allows you to open your heart, bringing life and energy back into a tired soul. 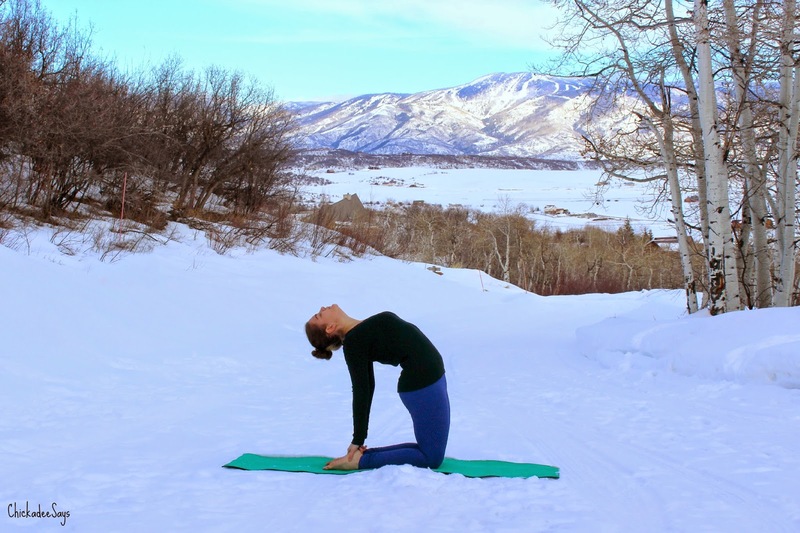 Start kneeling on your mat, knees just about hip distance apart, with your thighs perpendicular to the floor, and your feet either flat on the floor or with your toes tucked under. Press your shins, knees, and feet energetically into the floor, creating a stable base that you can pull up and away from. Reach from the crown of your head upward, elongating your spine and breathing length into your torso. Start to shine your heart forward, drawing your shoulders back, letting your collarbones broaden, and opening your chest towards the sky. Let your hands hang here, or place them on your lower back and notice how you have already begun your back extension and are in an expression of Camel pose! If you feel comfortable and stable in this position, you may deepen your back extension. To deepen the back ‘bend’ here we want to extend the upper back without compressing your lower back. Focus on creating the apex of your ‘bend’ in upper back, instead of bending from the waist. A great way of doing this is to place your hands on your lower back, fingers facing upward and extend outward, over your fingers. Make sure to pay attention to your neck, keeping it engaged and long. As your extension grows deeper, reach your hands towards your heels, making contact if possible. Also, pay attention to your ribs, making sure that they aren’t poking out and that they are engaged and streamlined with your torso! Breathe here, and allow your body to soften while still maintaining strength. When you are ready to come out of the pose, inhale, release your hands from your feet, and rise back to your starting position. Child’s Pose is a restful pose, sequenced in between vigorous asana flows, at the beginning of class, or as part of a cool down. There is something so incredibly calming about folding into ourselves, hugging our body, and just being in the little womb like state of safety. Start by kneeling, big toes touching then sit back onto your feet. You can keep your legs underneath you or keeping your big toes touching widen your thighs to about hip’s distance apart. Inhale to create length and nestle your body in between your legs. You can outstretch your arms in front of you, let them float back to rest beside your side bodies or for a wonderful stress relieving shoulder opener clasp them behind your back and let your hands drift off your back. 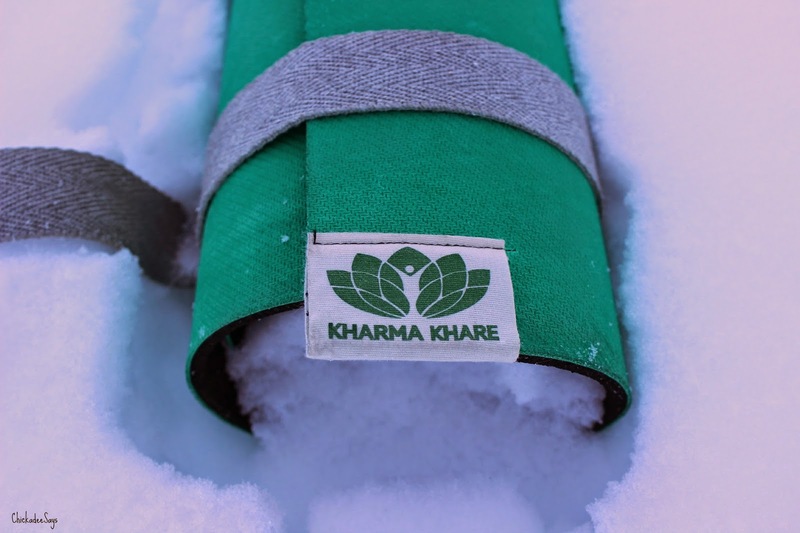 Now, before I headed up to the mountains to play with my mat outside I tested the Kharma Khare mat out in the studio, making sure it held up in a classroom setting. It was wonderfully non-slip and did super well throughout my practice. I love that the mat is made from recycled car tires, and is non-toxic! The color is beautiful (I chose green) and the texture of the mat was super grippy even as I began to sweat! I do have to say, however, that the mat had a bit of the recycled smell when I first opened it, but it went away after I let it air out! Now, the real test. Mountain snow. More often than not I have a yoga mat strapped across my back when I hike. I love being able to unroll it anywhere and not have to worry about thorns, or bugs, or freezing cold snow, plus I feel like a ninja turtle with my mat strap! I was up in Steamboat Springs, Colorado and decided to take the mat on a hike with my pups. Not only did it insulate my practice, but even with cold and hands and slightly wet feet (I refuse to practice in snowboots!) I didn’t slip once in my whole flowing practice! It was confortable, the dirt shook off easily, and didn’t puncture when my sharp-clawed furry friends came to visit while I was upside down! So not only is the mat beautiful and super durable, it is great for the environment! The Hybrid Bliss mat is Phthalate Free, and contains no PVC, polyurethane or toxic materials, super thick, with 4mm of mat and is relatively light for its thickness weighing in at only 8 pounds! 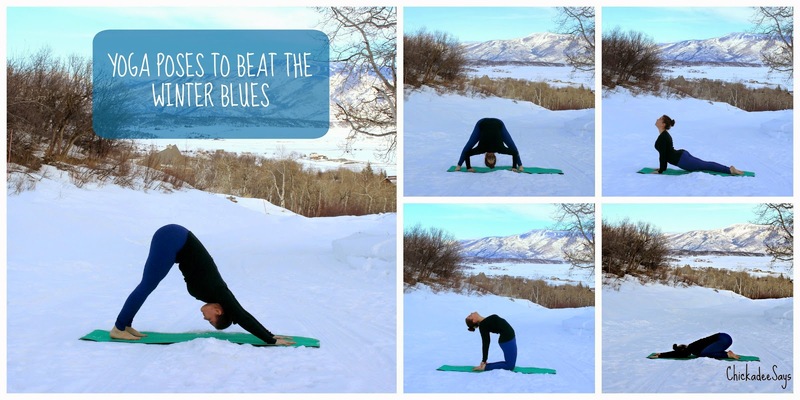 Do you beat up your yoga mats? Let me know in the comments below! I was compensated with product, payment or both in order to facilitate this post. Some links may be affiliate links. All opinions are my own.